We believe strongly in the quality of the products we offer. If you or a customer isn't satisfied, we will always work with you to replace the item or refund the customer. This is our most popular combination and offers a wide variety of Red Wheel frozen foods and a selection of household items. 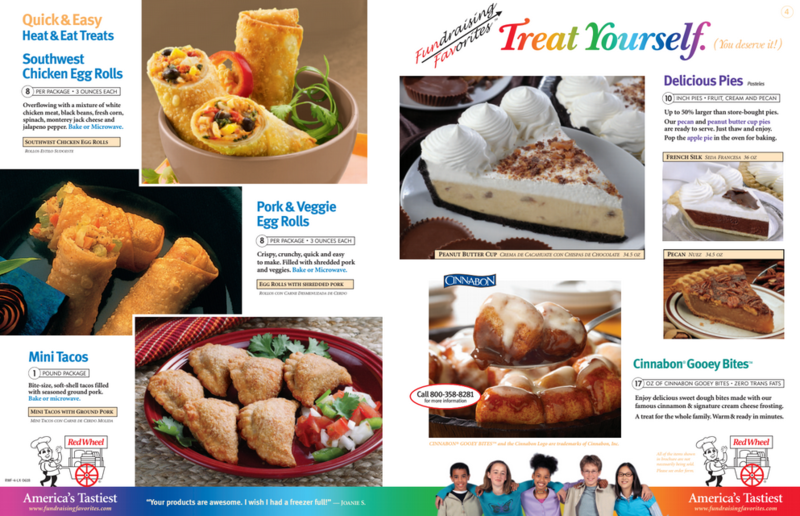 Includes cookie dough, pies, burritos, pizzas, and more! Prices range from $9 - $20. If you are looking for variety, this is your pick! Eight cookie dough flavors and two bread batters are included. All cookie dough and bread batters are from Red Wheel and come in 3 LB. containers. These retail for $15 - $17. Earn up to 50% profit! 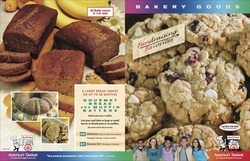 Love our frozen food but don't want to sell Cookie Dough? The Breakfast Blend is perfect for you. 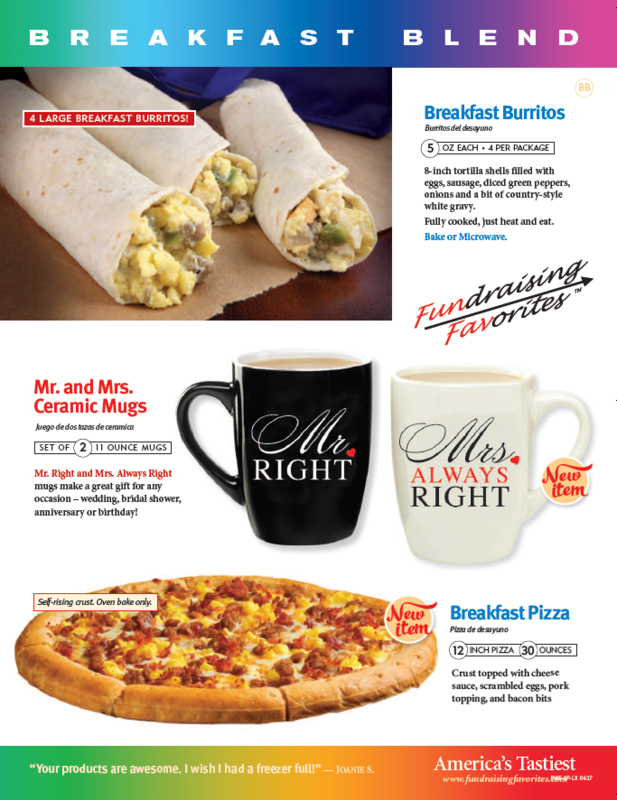 A selection of our most delicious frozen breakfast treats, plus the coffee, hot cocoa, and mugs to go with it! Got a sweet tooth? 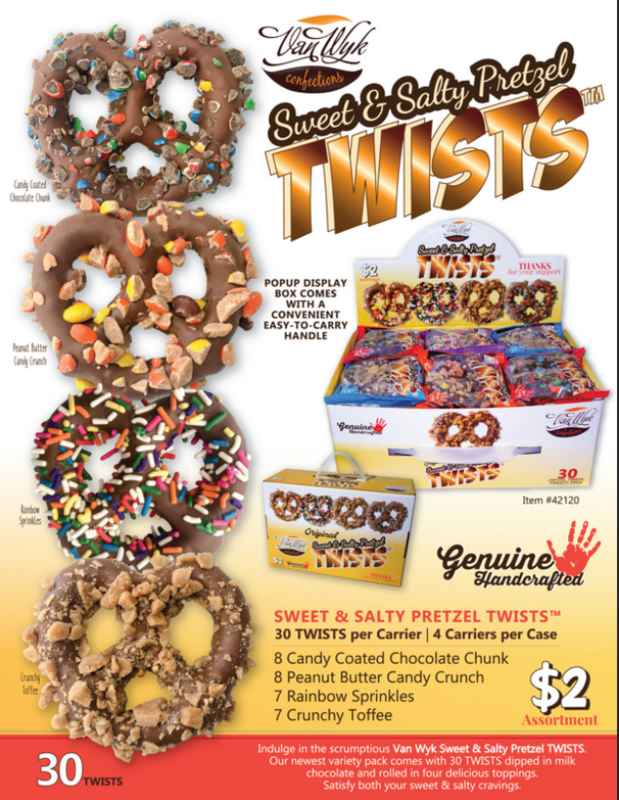 This combination includes everything you need to satisfy it including Red Wheel braids, rolls, and candy bar pies. 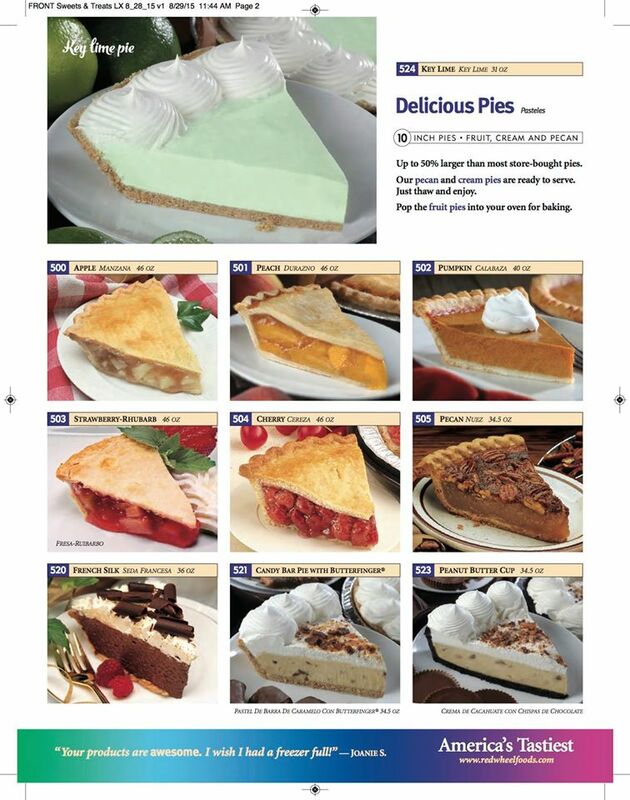 If you love our PIES, this includes every flavor we carry! 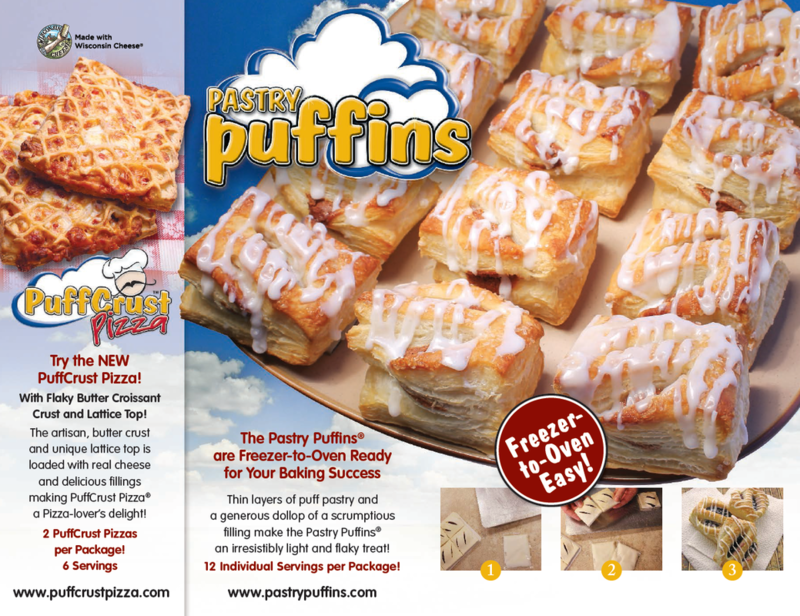 Pastry Puffins are light, fluffy, and delicious pastry treats! You might have tried the Strawberry Creme Puffin in the Full Line combination. Now you can sell our full line of eight puffin flavors with a Puffin Only fundraiser. One product, one price, so easy! Earn up to 50% profit! 8 delicious snack mixes in resealable pull top cans! 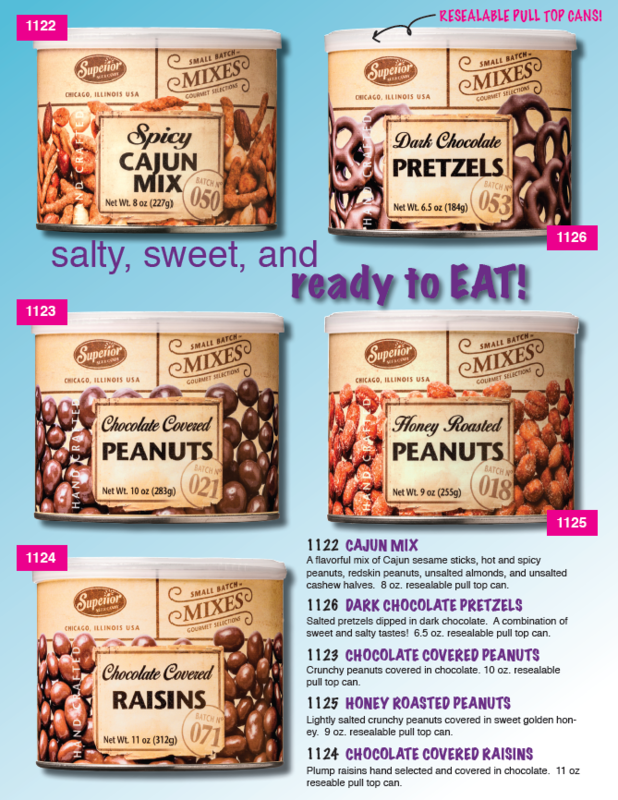 Snack mixes all retail for $10 and give your group GUARANTEED 50% profit!! 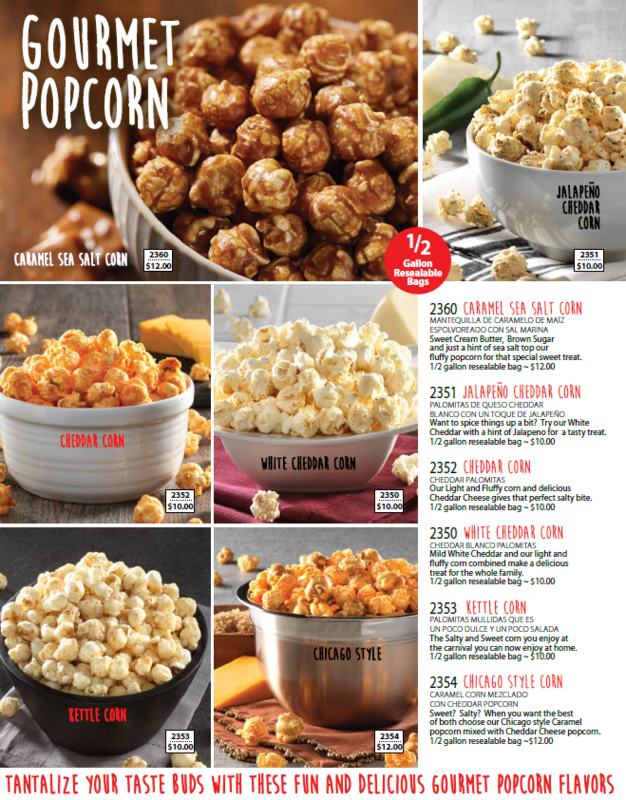 Six scrumptious varieties made with the highest quality ingredients! All flavors come in resealable bags (if you can stop yourself from finishing the whole thing off, that is!). GUARANTEED 50% profit!! Candles can be sold as a stand alone program or "tagged" on to one of our other combinations. All candles are in huge 12 oz canning jars, retailing for only $14!! 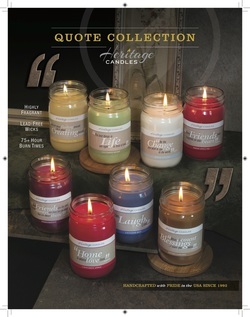 Sweet quotes decorate the outside of each candle. GUARANTEED 50% profit!! Cash and Carry fundraisers! $1 or $2 chocolate bars or pretzel rods available. Items come in easy to transport carrying cases with handles. Product provided up front so you can hand it out as it is purchased. 50% PROFIT! 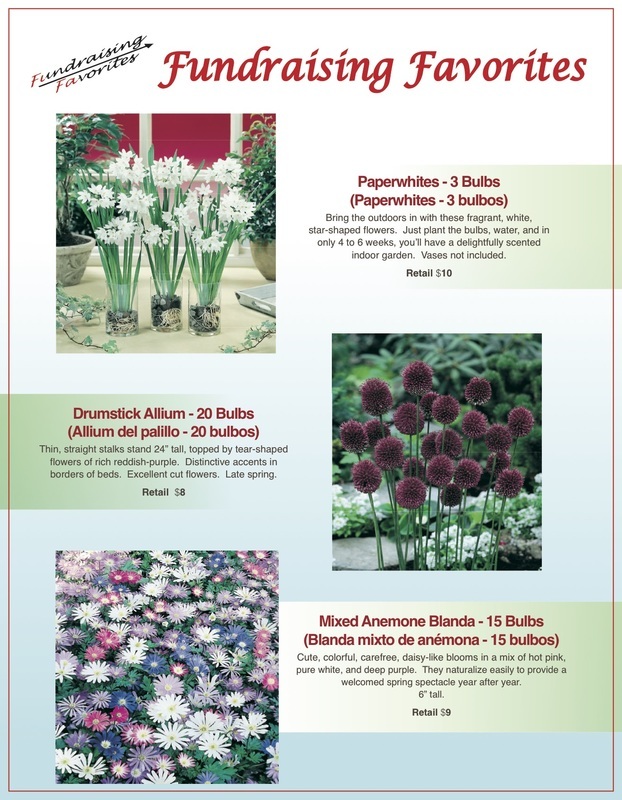 Flower Bulbs can be sold as a stand alone program or "tagged" on to one of our other combinations. Six seasonal flower options with prices ranging from $7 - $25. GUARANTEED 50% profit!! Tumblers can be sold as a stand alone program or "tagged" on to one of our other combinations. 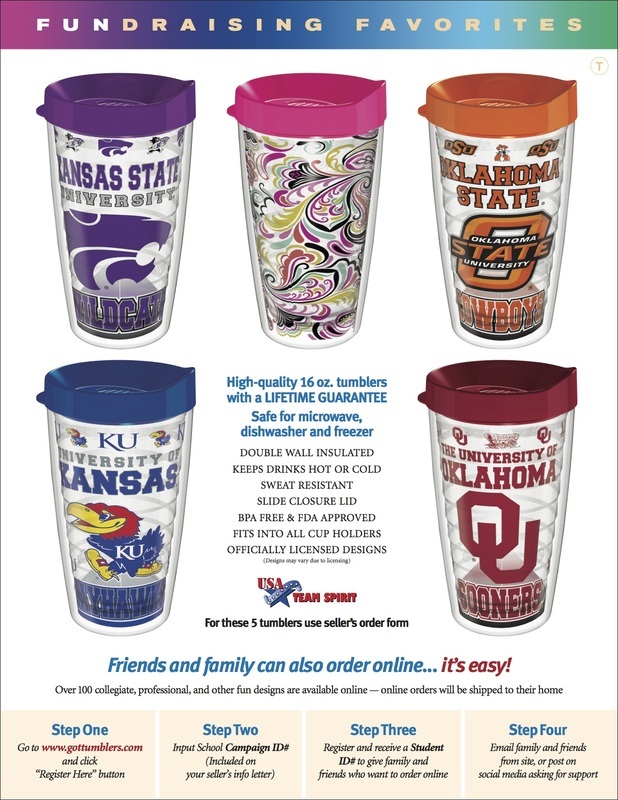 A variety of tumbler sizes and design options are available - we can even customize with your school or team logo! Depending on tumblers chosen, you will receive 40-50% profit! Large gift brochure with tons of cool items inside! This fundraiser is done mostly online - orders are placed and payment made online at the time of order. Don't see exactly what you are looking for? Contact us anyway. We would love to hear how we can better serve you, and may be able to set something new up just for your group.